So here's the video of the technique I used with Brusho to color! If you'd like to get any of the supplies I used, click on any of the images below to be taken directly to that page in my store. Don't forget to use the host code! 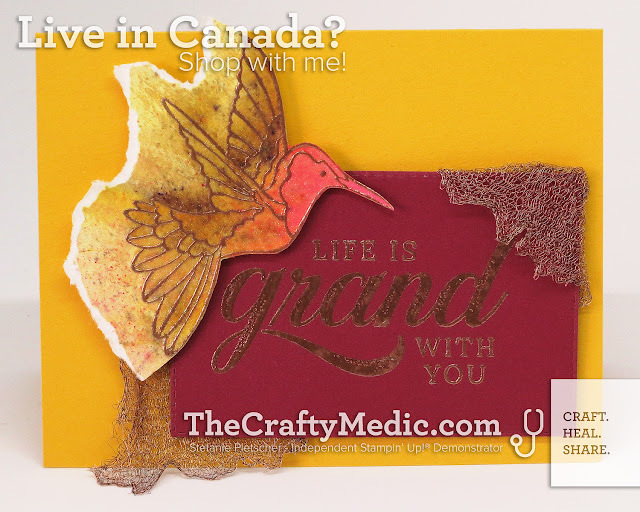 All content of this blog is the sole responsibility of Stefanie Pletscher as an Independent Demonstrator and the use of and content of the classes, services, or products offered here is not endorsed by Stampin' Up! Some images © Stampin' Up!. Simple theme. Powered by Blogger.